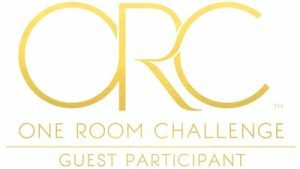 It’s week 3 of the One Room Challenge bedroom makeover and I’m happy to say, at this point, things are moving along well. 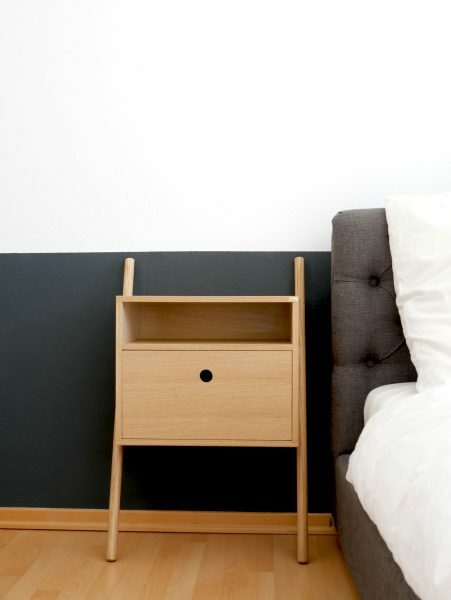 My nightstands arrived, only had a small incident with them at 4 in the morning, and I’ve been doing some fun DIY projects, including the ultimate High-Low IKEA hack. Let’s look at some progress pictures, shall we? I’ll tell you all about it…. 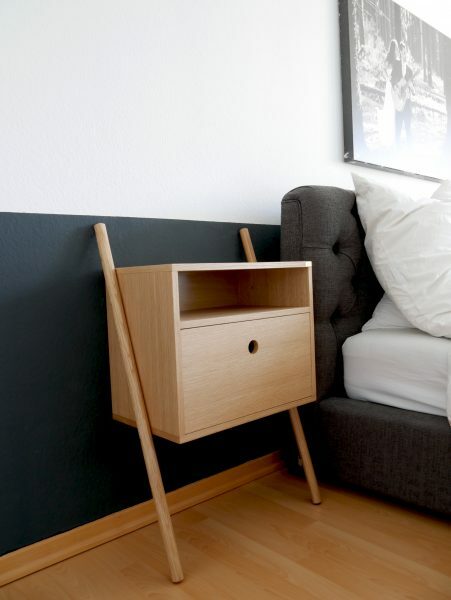 These are the nightstands that have arrived from Danish brand Hübsch Interior, ordered through Car-Moebel. There is now one on each side of the bed. Held up by slanting poles, they are sleek squares of oak with a roomy drawer and shelf. It’s typical Scandinavian design: simple, functional, neutral. 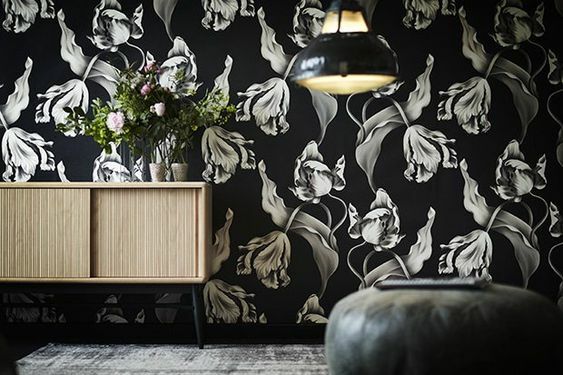 The dark floral wallpaper that will dominate the room is quite feminine so these pieces contrast it nicely. I wanted a nice balance of masculine and feminine in the space. It’s nice to have that ying and yang harmony in a master bedroom. 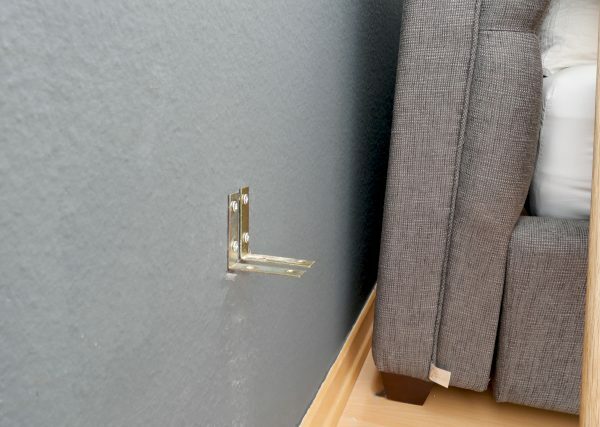 He drilled two metal brackets into the wall for each nightstand in order to support it and keep it from slipping down. The advantage to using this method is that we didn’t have to drill into the furniture. The nightstands seem very secure now. 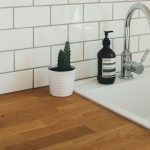 I really need to sing my husband’s praises in this post because he has been incredibly helpful. 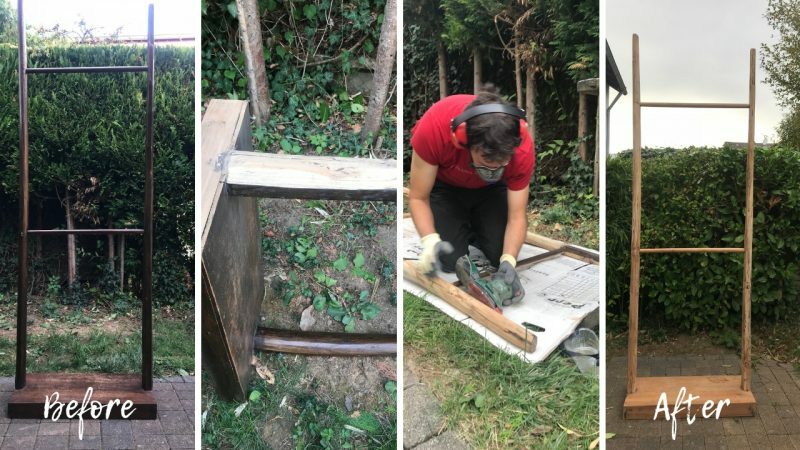 The major job he did was to sand down our large wooden rack from India. If you have been following along, this was one piece that I wasn’t sure if it would stay in the room. It’s a really interesting piece, but it’s dark colonial wood was outdated. It was bought many years ago for another home. I love the idea of it, I just didn’t know if I could make it work for my dark and dramatic bedroom. I’m very happy to say that it looks like it’s going to fit right in! We simply sanded it down, removing all the dark wood varnish and revealing a rustic natural wood underneath. I feel like it went from “dark out-dated colonial” to “Scandi Rustic” in just about an hour. I really meant to do this job myself (seriously! ), but my husband got out the electric sander for me and tested it out. Pretty soon he was all into the job, mask and goggles on, and finished the whole thing up. Can’t honestly say I was disappointed. It only took him about an hour, but he did say it was tough and I probably wouldn’t have made it through the whole thing. He was sore the next day. Thanks Sebastian! 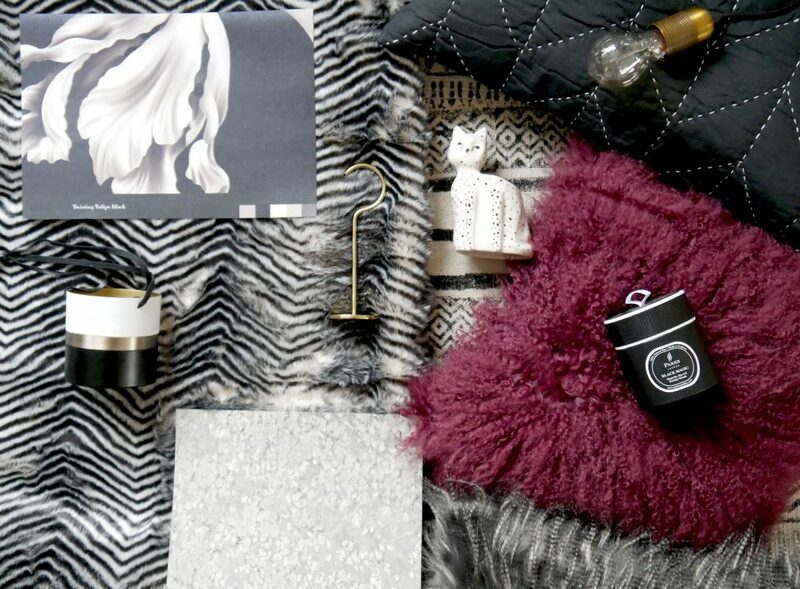 Once the wallpaper goes up, I will get to do my favourite part of this makeover: styling! Look out for cozy blankets on the bottom rung and most likely hanging plants on the top. 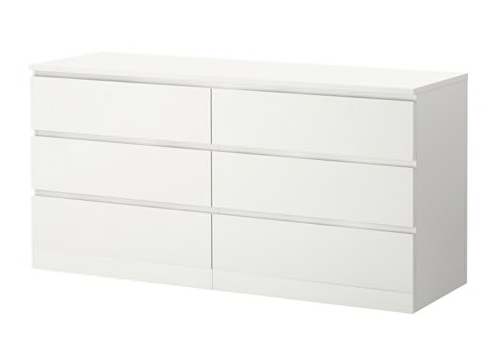 The fun project I just finished up is the IKEA Dresser hack. I bought this Malm dresser a couple years ago and always wanted to hack it into something unique. 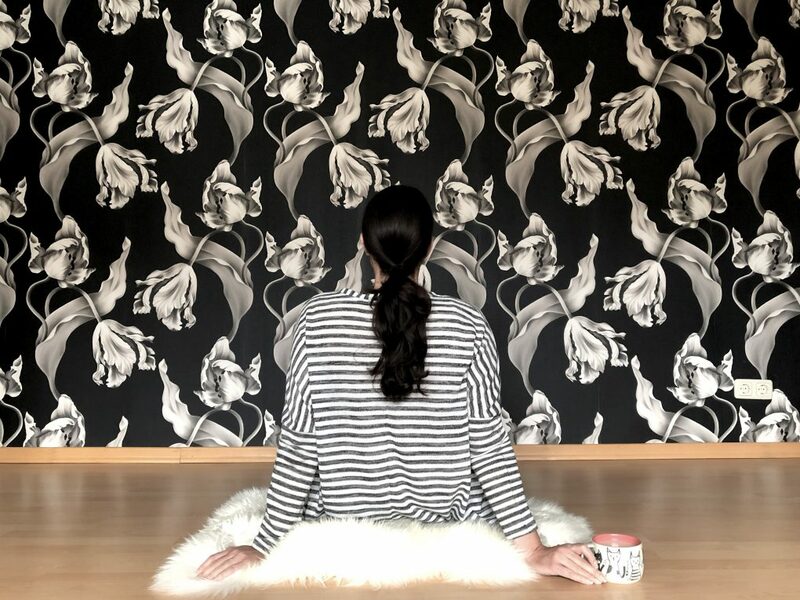 I became obsessed with wallpaper as I was choosing what to put on the wall in my bedroom. I decided on the Ellie Cashman Twisting Tulips to go on the wall behind this dresser. 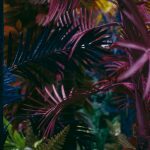 In addition to looking at huge, dramatic prints, I also fell in love with a few small-patterned, textural papers. This one from Zoffany, below, is one I just couldn’t stop looking at. 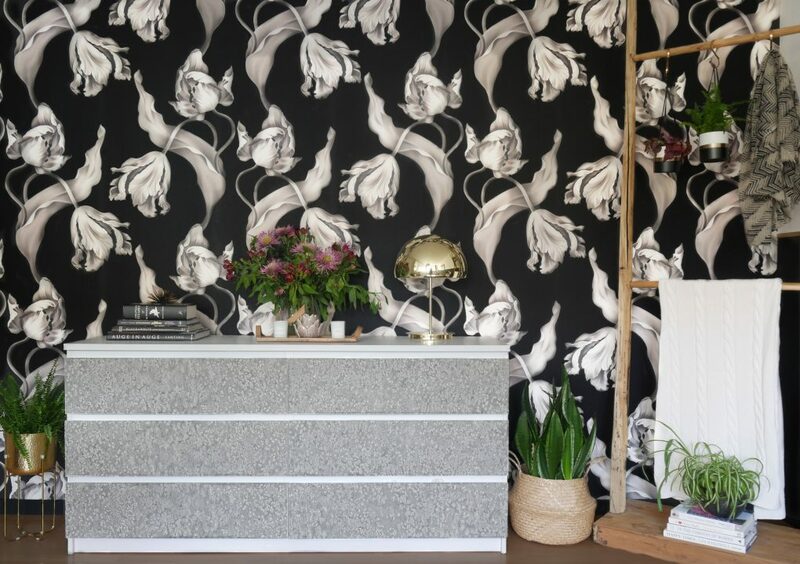 I loved the way it played with the Ellie Cashman wallpaper and I suddenly had the idea to put it on the drawers of the dressers. 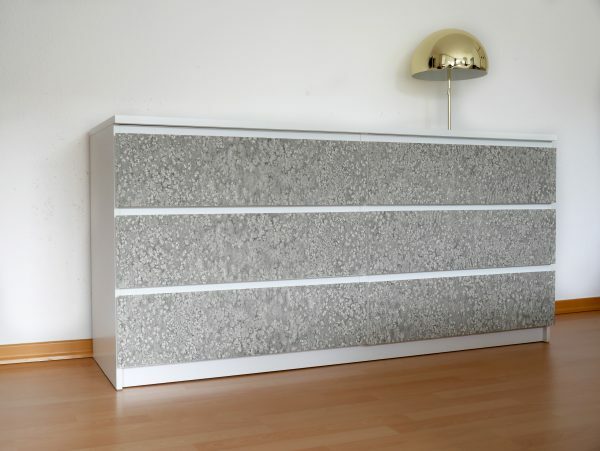 An immediate search of You Tube and Pinterest for “How to Wallpaper an Ikea Dresser” began and I came up with enough info to see that it was not only possible, but relatively easy. 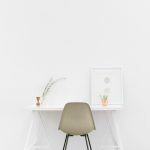 Most of the examples I found were from people taking left-over wallpaper or using remnants that you can find at wallpaper stores. Ha! No scraps for my bedroom makeover, thank you very much! I’m using a roll of designer Zoffany wallpaper and I feel lit’s worth every cent. 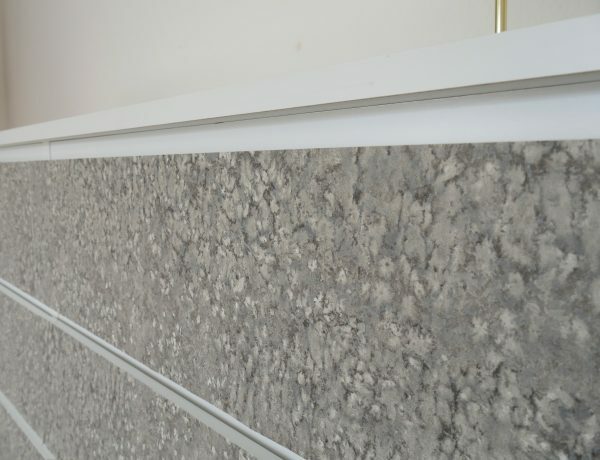 It’s called Weathered Stone and it is textural and organic while at the same time quite glamorous. The best of both worlds, in my book. I’m going to do a separate How-to post on this IKEA hack, but I’ll explain it briefly here. It was a relatively easy process. 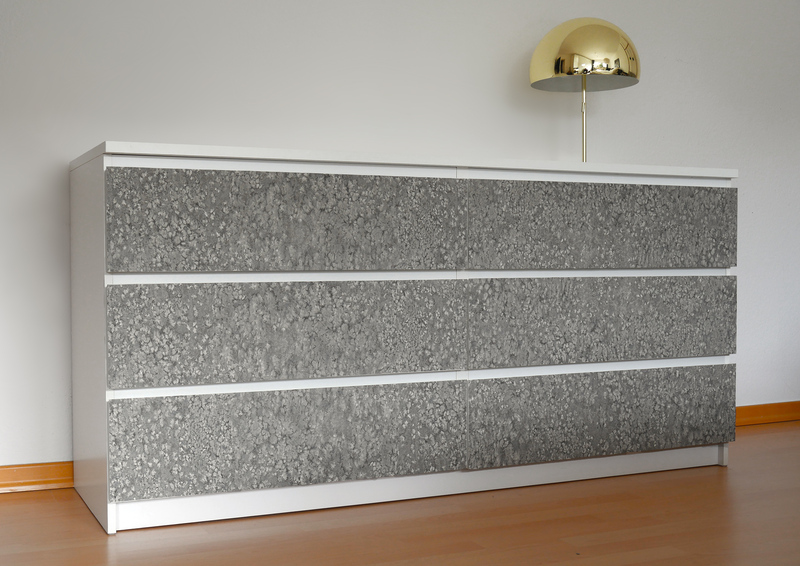 Fortunately all the drawers are the same size, so I just traced one drawer six times onto the wallpaper. Then I cut out the pieces and, after removing all drawers, I used a spray adhesive to attach the wallpaper. It really was that simple. I’m really happy with the look so far and I can’t wait to see it in front of the Ellie Cashman wallpaper once it’s installed. All quite different, right? The white chair with gold legs is the one I thought would be perfect, but of course seeing a photo of something and then seeing it for real in the space are two different things. The legs were rose gold and didn’t match the other brass elements in the room. And it just wasn’t comfortable. It was sent back and the search continues! Stay tuned and next week I’ll be talking about bedding and how to style a European bed. Thanks so much! It’s been a fun week getting these pieces done! 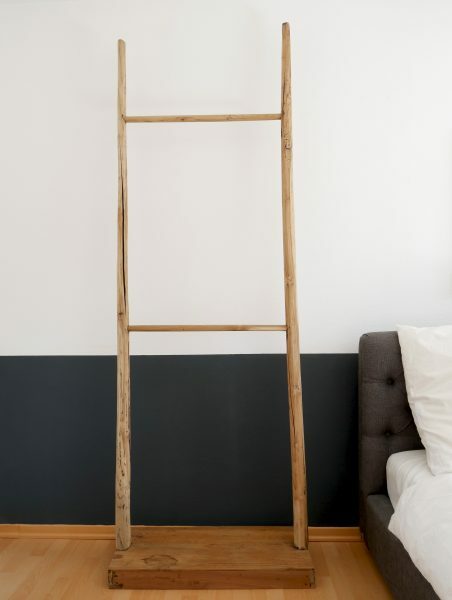 Genius solution for keeping the night stands in place. It’s crazy that the company doesn’t account for securing them! Love your chair choices! That caramel brown velvet has my heart! I love the caramel brown one too! I’m afraid it’s too wide for the space. It’s so difficult to find not only the right look and comfort, but also the right dimensions! 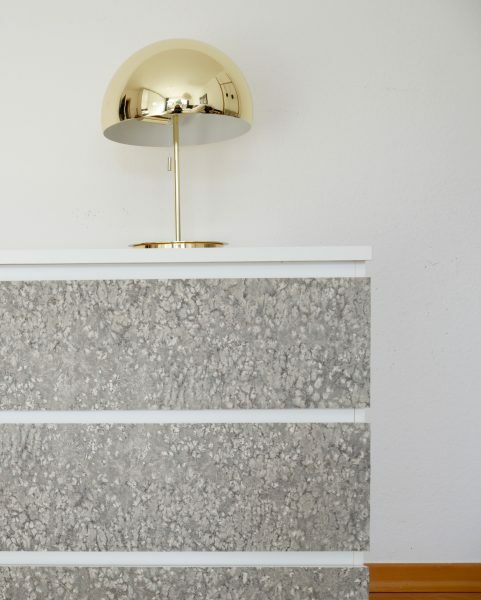 I love Ikea hacks and the wallpaper really made that dresser look 10 x better! 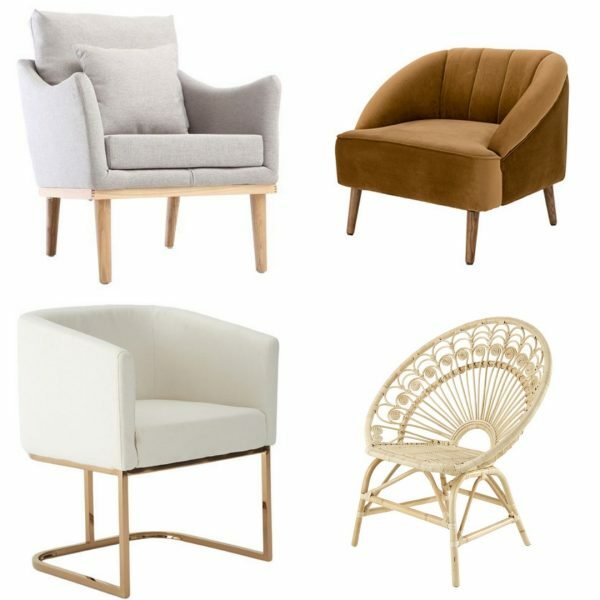 I hear you about chairs … so hard to pick and they don’t always look the way we imagine them to look based on online photos. Good luck on your search! Thanks so much! Another chair is arriving today, cross fingers this one is a keeper! Looks so good with that lamp! I can’t believe that nightstand accident, aaack!! They are so cute though! Thanks so much! I’m feeling much better now that the nightstands are attached to the wall!